Many images are strongly linked with Astrid Lindgren’s work, everything from stills from the films to various book illustrations. 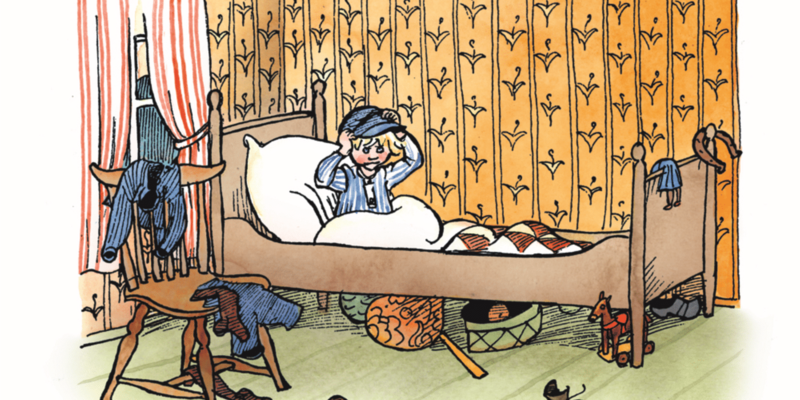 Almost all of Astrid Lindgren’s books are illustrated; the chapter books in black and white and the picture books in colour. For many people the characters are indistinguishable from the images that the illustrators created of them. In Sweden we think of the ‘right’ Pippi Longstocking as the one Ingrid Vang Nyman created, that Emil can only look they way Björn Berg drew him, and that Karlson on the Roof is the small, not too chubby man in blue dungarees and chequered shirt that Ilon Wikland sketched. A lot of original illustrations have been included in foreign editions, but foreign publishers have also many times chosen to let their own illustrators interpret the characters. We actively work on getting foreign publishers to use the Swedish original illustrations as their first choice. This is mainly because they were created together with Astrid, and are therefore closest to the original stories. 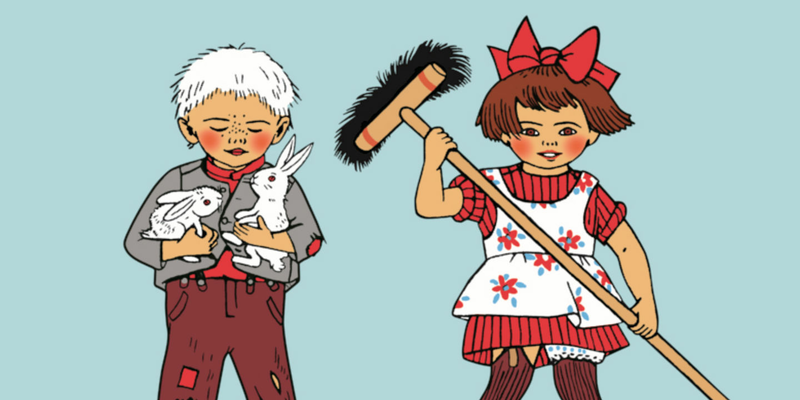 The Astrid Lindgren Company controls the copyright for Ingrid Vang Nyman's illustrations: all the original illustrations of Pippi Longstocking, The Children of Noisy Village chapter books and Kajsa Kavat. Please contact us for any rights queries. Do you want to use an image? Plenty of people want permission to use images from the books to illustrate a point in a newspaper article, for example, or to use in a theatre program, or in connection with an exhibition. We almost always grant permission for this in cases where there is a clear link between the work and the new context where the image will be included. When it comes to images by other illustrators, excluding Ingrid Vang Nyman, then the rightsholder has to be asked and give their permission. It is not permitted to use images of Astrid Lindgren’s characters where there is no connection to the original, for example in newspaper articles about other matters or when promoting products or events with no link to Astrid’s work.